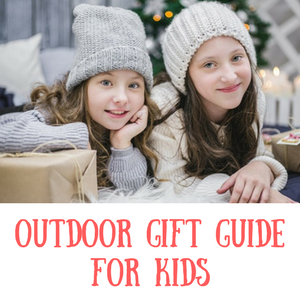 Best fitness tracker for kids in 2019 – Get Kids Outside! Getting kids active can be either something that is increasingly hard or something that you don’t need to worry about at all. If you have a child that’s bouncing around day after day then you might not feel the need to help encourage them to be more active. On the other hand, if you have kids that prefer watching the tv and playing computer games to going out for a walk then maybe a fitness tracker might be something to consider for a bit of gentle encouragement to get more active. 2 What’s the best fitness tracker for kids? Fitness trackers for kids should always be something that is fun and that doesn’t penalise kids. We want them to be encouraged to move around rather than feel like it’s a chore and that’s a tough thing to get right. When looking for the best fitness tracker for children you probably also will want to have something that is inexpensive, simple to use and comfortable on your child’s wrist if it’s a watch design. You also need to think about what you want it to track – tracking calories might not be appropriate but a step tracker watch could be just what you’re after. When I’ve been looking at the best kids fitness trackers that are for sale right now in 2019 I’ve found it tricky to get some that aren’t too expensive and that actually work! There are plenty for adults but getting something that is good for kids? A bit harder! What’s the best fitness tracker for kids? Your kids ages will dictate what the best product is – younger kids won’t have the wrist size for some of the more adult orientated watch fitness trackers that are available so they’ll need something designed just for them. If you’re looking for fitness trackers for older kids scroll down for my top picks there. The following activity trackers are good for kids up to about the age of 9. Scroll down if you’re looking for more grown up products. This is a good option if you want something from a good brand name that deal with these kinds of children’s fitness trackers. The Garmin Vivofit Jr is marketed for ages 4-9 but it’s definitely not one that looks too babyish and so I think could last for a long time. It has some great designs available that are suitable for a wide range of kids tastes. What is unique about this fitness band is that it has a parent controlled app – they can motivate the kids to do more activity through this! I liked this one so much I decided to do a more in depth review that you can see here. Overall it’s one of my favourite child pedometers for this age range especially with the fun yet not too childish designs. Garmin have just updated their range and brought out some themed activity trackers from Star Wars, Marvel and also Minnie Mouse – definitely worth looking at especially if you have kids who are crazy about these characters! As well as being quite unique and having some fun straps, they have new games that are attached to the app too. If you have young kids and want to get them active then this is one of the best things I’ve found. 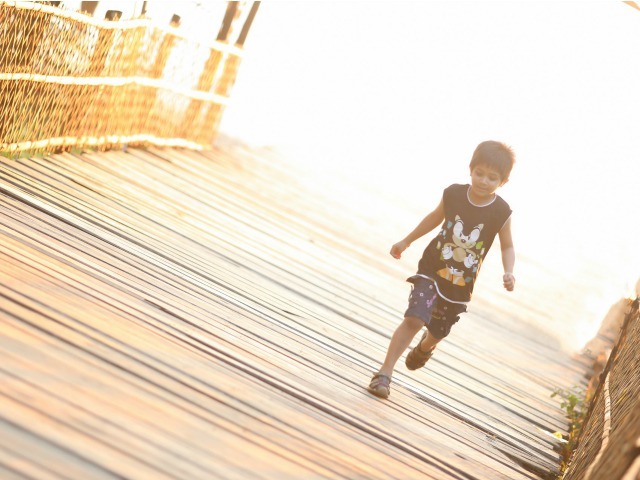 It really encourages the child to get active by having games to get them moving. It’s suitable for ages 4-7 approximately. The LeapBand has a virtual pet that your child will have to keep healthy by jumping, keeping active etc and there are other challenges that the band gets your kids to do as well. For the price it’s a really lovely little toy and it would be a perfect stocking filler if you’re looking for something for Christmas. (Updated to their new DX2 version) Now this item isn’t specifically a fitness tracker, it’s a smart watch, but it does include a child’s pedometer and motion sensor so you can certainly use it to encourage and keep track of your child’s fitness and activity levels. It’s a child version of a smart watch, but obviously at a lower price and with child friendly games on as well. It comes in 3 different colours – blue, green and pink and is suitable from the age of 4 upwards. 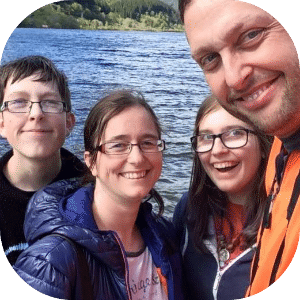 Once your kids get a little older you’ll probably be looking for a tracker that’s a bit more grown up looking and so it’s natural to be looking at what is available for adults. Here’s some good options for kids in the 8+ age range. A really good option, and one of my favourites for the top spot in activity trackers for older kids is this one from LETSCOM. It’s an inexpensive watch, looks very like a proper FitBit, and it is quite high on the features. It will track your steps, distance and calorie counting as well as tracking sleep. It has some other pretty cool features – you can take photos from your phone by tapping your watch, can control the music on your phone and also show you who is calling you. Not bad for an cheap fitness tracker! the app keeps track of everything – you could put it on your phone or your kids. I do also really like Fitbit because they have an excellent customer service – one of our Fitbit’s stopped working and they replaced it with no questions asked (we just had to show we had a receipt for it), so although there are lots of cheaper versions out there I think getting a good brand is worth it. FitBit have also just released a kids fitness tracker themselves, aimed at ages 8 and upwards, which I am in the process of looking into and will add more here when I know. It’s called the Fitbit Ace and it seems like a nice go between of having a grown up looking tracker but without the focus on calories burned. If that’s an issue for you then do check it out. It’s at the higher end of the price range but my personal experience with FitBit means I wouldn’t hesitate to trying it out. You can see more about the kids FitBit Ace here. This is a good option if you don’t want the expense of a Fitbit for your kids which still looks grown up and good quality. The sports wristband will track your steps, your walking distance, calories, sleep quality and will also do things like notify you of incoming messages if you attach it to your phone. It’s a really good entry smartwatch and will connect to android (above 4.4) and iOS (above iOS 8) phones. I really like this one because it does all you’d want a more sophisticated tracker to do but at a much reduced price. It will help your kids feel all grown up yet will be cheap enough to have you not worry about getting it broken. Thanks so much for this helpful list including teenage range! I’ve just ordered one based on your recommendations! Thank you!! Thank you for the invaluable advice. My 10 year old daughter wants one. My worry is the calorie counter, I don’t want her finding out about that then it becoming a potential issue. I don’t think they should allow that on younger kids trackers. My daughter is skinny enough!